Searching for “Shanghai Grand” on the internet leads directly to a Hong Kong action movie from 1996 set in Shanghai. Much more interesting is the new book from Canadian travel writer and journalist Tara Grescoe, focusing on the life and relationships of New Yorker writer Emily (Mickey) Hahn during her stay in Shanghai in the 1930’s. Many books have been written about Old Shanghai and not all of them are good or interesting. Although published in mid 2016, Shanghai Grand only came to the attention of Old Shanghai lovers based in Shanghai, when Grescoe presented his book during the 2017 M Literary festival in Shanghai. I have to admit that I was very skeptical about an Old Shanghai book written by an author mostly known for his work about public transports and World overfishing and who never spent more than a few weeks in Shanghai. The presentation itself was of high interest, while the book turns out to be one of the best written and best documented book about Shanghai in the 1930’s and some of its memorable characters. 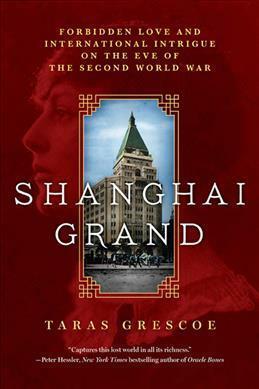 Shanghai Grand tell the story of the most crazy years of foreign Shanghai, the late 1930’s. Emily (Mickey) Hahn arrived in Shanghai in 1935, and through chances and connection got quickly in touch with Sir Victor Sassoon and the highest class of foreign society. As free and adventurous women, she defied conventions with her interest of the Chinese Society, that was exposed to her through her liaison with Chinese Poet Zau Sinmay (Shao Xunmei in modern PinYin, 邵洵美 in Chinese characters). The books centers on the love triangle between the three of them, while exploring Sir Victor Sassoon’s thoughts about the Shanghai political situation in those troubled times. 1930’s Shanghai was a booming city, but the party was abruptly interrupted by the Japanese invasion, Saturday 14th August 1937, that changed the city forever. Life conditions deteriorated rapidly and Emily (Mickey) Hahn left for Hong Kong, then taking a trip to Chongqing and write her first famous book, the Soong Sisters. She stayed in Hong Kong until repatriation in the US in 1943. Instead of using local information and archives about the city, Grescoe focused on researching foreign based sources. He primarily used the hand written notebooks from Sir Victor Sassoon (now stored in a library in Dallas, Texas) that where previously unheard of by most people studying Old Shanghai. 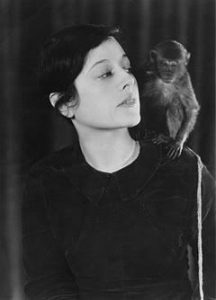 Another major source was writings by Emily (Mickey) Hahn for the New Yorker written during her time in Shanghai (1935 to 1939), her books written about China and the many letters she wrote back to her family as well as unpublished works, that Grescoe is probably the first person to have researched intensively. Besides the main characters, Grescoe also cast a light on a few secondary characters that he managed to find new information about. Maurice “Two Guns” Cohen is definitely one of them as little was known about him apart from his work as body guard for Dr Sun Yat-Sen. Bernardine Szold-Fritz, who introduced Mickey Hahn to the Shanghai social life is also an exotic character. The background of Shao Xunmei is exposed thanks to his relatives who are still in Shanghai today. The background of the whole story, and nearly a character in itself it the Cathay Hotel (today Peace Hotel) on the Bund. While researching the book, Grescoe also received support from Old Shanghai experts like Peter Hibbard and Andrew Field, as well as actually meeting with numerous authors of books about Old Shanghai or the life of his central characters. He also used a number of books written by Shanghai foreigners about their life in the 1930’s, most of them being mostly unknown or really difficult to find. The body of data collected is enormous and a large part of the work was surely to compile it, summarize it and cross references. Thanks to great writing skills, the result is a highly readable book that will satisfy readers that are not familiar with Shanghai history. At the same time, the depth of the research is a treat for Old Shanghai connoisseurs as the author has spread details and references all along the book, making it a great start for further research. Thank you ! Will definitely buy the book. On My first trip to shanghai in 1981… we went to Peace Hotel… but after waiting in the lobby for several hours… and no hope of getting a room.. we got a Recomendation to go to Rui Jin guest house.. and we went. great, that sounds like a superb reading! Where to find this piece of a treasure?